How To Stop Foreclosure From Happening? Many Americans are struggling to stay afloat in the current rough economic tide. If you are one of many that are struggling to stop foreclosure, then this article may be of interest to you. Unfortunately, foreclosures are at an all time record high, and most people are not even aware of options available to avoid this from happening. 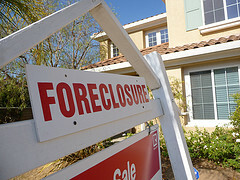 PCS Debt Relief can help stop foreclosure process for our clients in.